Applied Biosystems 433A Multiple Solid-Phase Peptide Synthesizer . New Life Scientific, Inc. 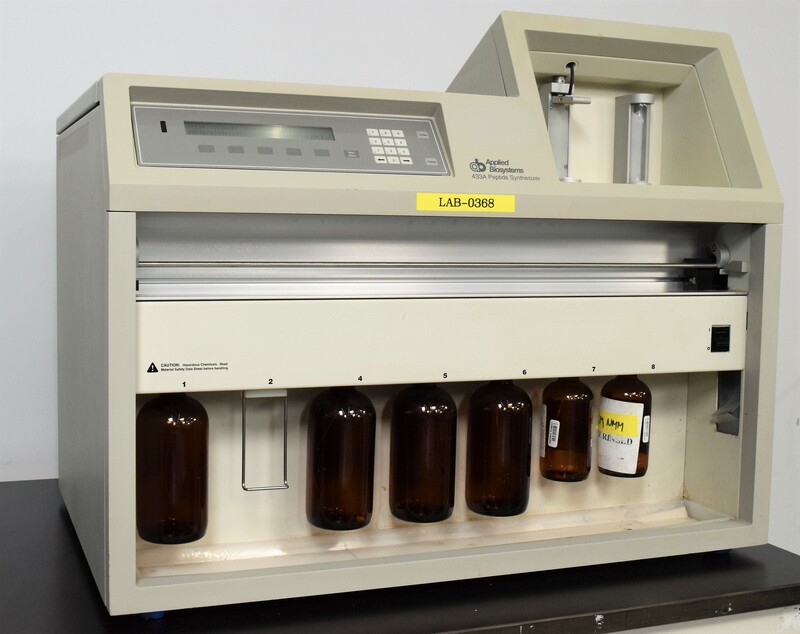 The Applied Biosystems 433A Peptide Synthesizer is in good cosmetic condition with minor wear. New Life Scientific technicians The New Life Scientific technician’s confirm that it is missing the waste box; reaction vessel and pusher block for the amino acid cartridges. The needles and ejectors are also untested. The equipment was powered on and the valves, solenoids and reaction shaking were all tested with no problems found. This system has been partially tested and is also supported by our 90-Day Warranty.